Could We Be Running Out of Prosecco? Prosecco experts claim that shortage is upon us and this lovely summer bubbly may not flow quite as freely this year. High demand and unexpected weather conditions have resulted in limited production of Italy’s most popular sparkling wine, a brand in itself. Last year’s harvest was very poor, and down by up to 50% in some parts, so there is a very real possibility of a global shortage,” Robert Cremonese, export manager of Bisol, said in an interview with the trade publication The Drinks Business. “We’ll find out how big the problem is in August when the brokers release their stock. At the moment we don’t know how much Prosecco they’re holding on to.” Cremonese added. Another reason for this shortage is that global demand for Prosecco has risen sharply over the last several years while supply is still limited. In 2014, Prosecco DOC sales increased by 27%, according to the Italian news organization Italy24. Wine. Wine consumers over the world consider Prosecco as a less expensive, easier to drink alternative to Champagne. It has whizzed past its French rival as the best – selling sparkling in 2014. I’ve had the pleasure of dining in the Sahib Room at the Palladium Hotel twice, the first time was when it launched and then again at the Ruffino dinner hosted by Sula last week. Both times have been incredible and I think it is Chef Angad’s brilliance and Palladium’s hospitality that make it so special. 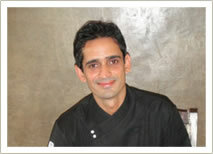 Chef Angad specializes in North West Frontier cuisine with an expertise in Awadhi, Hyderabadi, and Kashmiri cuisines. He actually didn’t say much when I thanked him, but his colleagues who I spoke with the next day said they weren’t surprised, as he’d rather have his food do the talking. Well Amen to that! 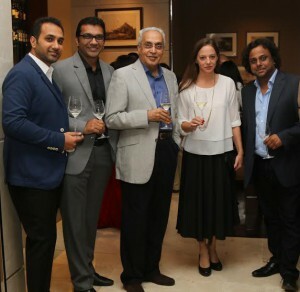 Way back in my days with Sula, I had the opportunity of placing the first order for Ruffino to India, so I wasn’t going to miss this dinner for anything. In my excitement, my guest and I were the first people to arrive. 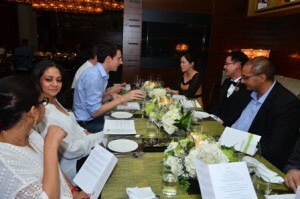 The dinner was hosted to welcome Joe Milner – Regional Director Asia and Jake Jacob, VP Asia of Constellation Brands. 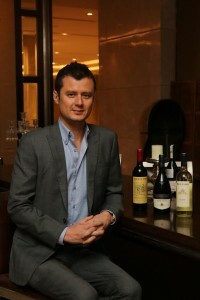 Ruffino is part of the Constellation Group – the world’s largest wine company. The evening started off with Ruffino’s Orvietto Classico served as an aperitif. 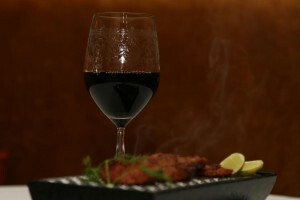 This easy drinking wine with lovely fresh, fruity and floral notes was served at the Sahib Rooms bar area. After a few glasses we were ushered into the restaurant’s plush dining space. 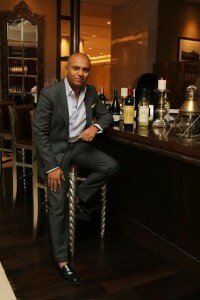 What followed was Chef Angad’s magic, a slew of dishes that included avocado and bamboo shoot tikkis, smoked spring lamb, grilled tiger prawns all of which paired really well with Ruffino’s Chianti – a blend of Sangiovese, Cabernet Sauvignon and Merlot. I had not tasted this wine in about 13 years and was pleasantly surprised by how well the wine worked with the food. For the main course we had an indulgent black dal that I devoured along with the Kashmiri hand pulled lamb and biryani. This was served with a more serious wine, Ruffino’s Riserva Ducale, a Chianti Classico Riserva. By then I was completely satiated but pure greed made me ask for another glass. I really do like this wine and the label is just stunning. Dessert was delicious with the now fabled Kolkatta paan ice cream. You’ve got to try it. If you had to switch off the lights and have that served to you without disclosure you probably wouldn’t be able to tell that it wasn’t actually paan. The wines and the company at my table were great and the Sahib Room managed to put me into a Sahib like food coma once again. With a number of great restaurants attempting to modernize Indian food springing up across the country, I am actually very glad that the Sahib Room has chosen to stick to tradition and I think that we can all raise a glass or two of Ruffino’s Riserva Ducale to that. Mumbai got one its first micro-brewery when duo Rahul Mehra and Krishna Naik quit their jobs to get into the business of beer. They were joined by Navin Mittal armed with a Business Degree from Clark University and over 20 years of experience in product development and marketing. What started off as secret beer making sessions in their kitchen turned to beer workshops for a few enthusiasts. 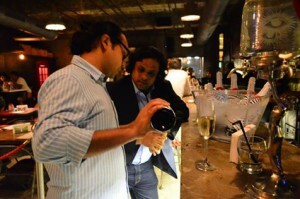 In 2011, they established a business plan to supply beers on tap to various restaurants and bars in Mumbai. Gateway Brewing Co. the brainchild and hard work of this trio, has paved the way for other craft breweries to establish themselves. In a way, they have authored the unwritten book on setting up and marketing a micro-brewery in Maharashtra. 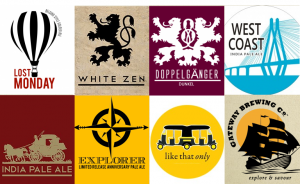 If you want to rediscover beer as you know it, make sure your weekend plan includes a visit to any one of the thirty plus restaurants or pubs Gateway Brewing Co. is available at. The really quirky names of the beers just add to the mystery of discovering craft-beer. So are you a Doppelganger or Like That Only? 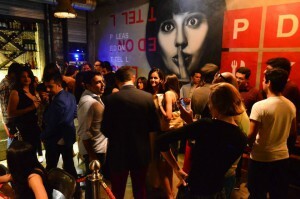 All Things Nice and Chandon India hosted a super cool summer party for our guests and members at Please Don’t Tell last Saturday. 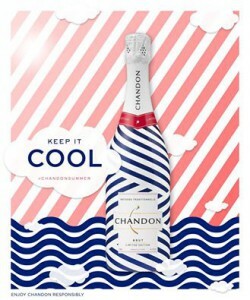 We opened a few bottles of the new Chandon Summer collection and must say that we absolutely love the chic new packaging. A selection of three refreshing Chandon based cocktails were served with delicious canapes. All in all, it was a fun social evening with people who really know how to enjoy themselves. 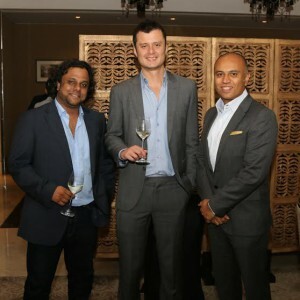 All Things Nice and Chandon India hosted an iconic dinner with Cloudy Bay, New Zealand’s most famous winery, at the Four Seasons Hotel Mumbai. 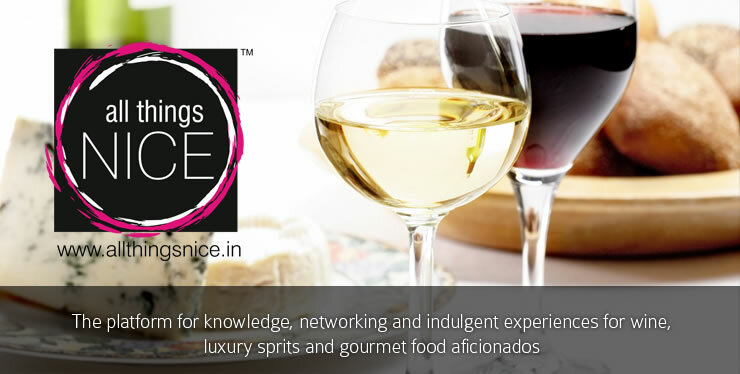 Over 35 guests enjoyed an evening of fabulous wine paired with an outstanding menu by Chef Chaitanya Sharma at The Kitchen, a quaint little space that allowed everyone to be in close quarters to the live action in the kitchen. The wines served were stars from the Cloudy Bay portfolio – Sauvignon Blanc, Chardonnay, Pinot Noir and finally Te Koko, a unique style of Sauvignon Blanc. 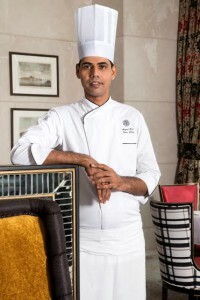 Some of Chef Sharma’s creations included the Sous Vide Tiger Prawns, Truffled Potato Gnocchi and the Roast Lamb Loin in Butternut Squash Puree. In our opinion Cloudy Bay offers super high quality wines that arefull of freshness and finesse and you cannot but help fall in love with them. We weren’t surprised that this evening turned out to be such a great success! We have within our portfolio a niche list of defined services that enable us to do just that. This month we’ve got a great wine as a recommendation for you and also an exciting offer on Riedel glasses in addition to a recipe from Chef Conrad of Pali Village Cafe. We decided to do something controversial and crush the myth that Indian food and wine do not compliment each other. Director de Cuisine Rahul Akerkar and MasterChef Mukthar Qureshi of Neel – Tote by the Turf combined forces with our very own Sommelier Nikhil Agarwal to put together a perfect 4 course wine dinner of Awadhi cuisine and a selection of eight international and Indian wines. It’s no surprise that the dinner sold out almost immediately. The guest list comprised of members of the ATN community and food and wine writers. 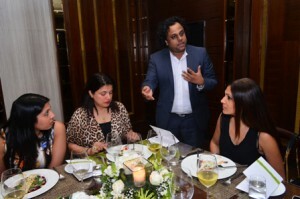 Rahul and Nikhil talked about the flavours of the food and the wine, elaborated on the concept of the dinner and interacted with guests at their tables. It was clear that the concept was a success, everyone savoured the flavours of the food and appreciated the way the wine complimented the courses. 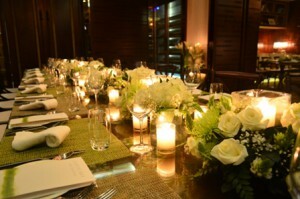 The wines were served in Riedel – the world’s finest glassware, only enhancing the wine tasting experience. All Things Nice & Woodside Inn Andheri come together every month to showcase international beers. This time, we featured the Viru Lager from Estonia, Fuller’s London Pride, Schneider Weisse from Germany, Murphy’s Irish Stout, Liefmans Fruitesse and Duvel from Belgium. 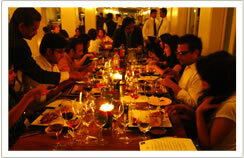 Nikhil compared and contrasted the beers and took patrons through the art of beer tasting. This event is always fun with interesting people coming together for the love of beer; you leave with new friends every time! Come for our next beer tasting at Woodside, Andheri on the 9th of August 2012. With the weather all wet and unpredictable, we’re sure you are looking for ideas to entertain your guests at home. Host your party and kick-start it with an exciting single malt, beer, cognac or wine appreciation session. It’s quick, interesting and stimulates the party mood for sure. 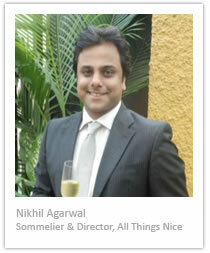 The two hour session in your own home will be hosted by Nikhil Agarwal, Sommelier & Director of All Things Nice. We come with our own wines, beers or spirits, glasses and staff so you can sit back, relax and impress your friends. Get in touch with us for your next ‘night in’. Take it a step further and let our own guest Chef to cook for you! We recommend you stock up on our pick of the month – the Woodstock McLaren Vale Shiraz 2009 Australia. We love the this stylish and vibrant Shiraz which shows bursts of blackcurrants, spice and subtle hints of dark chocolate. The palate is full and rich in flavour, lush dark berries coat the mouth while savoury tannins provide an alluring texture that lingers. A food friendly wine and a classic example of McLaren Vale Shiraz in the glass. You must try it! 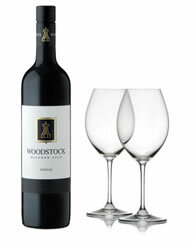 Buy a six bottle case of the Woodstock McLaren Vale Shiraz 2009, and we will throw in the perfect glasses to drink it with. Over the past 50 years, Reidel – the Austrian clan of master glassmakers has done more to enhance the wine drinker’s pleasure than almost any winemaking dynasty. They are the pioneers of inventing the first functional wine glass that was shaped to be designed for the character of the wine. Our guest Chef of the month Conrad D’Souza of Pali Village Cafe has put together a recipe just for the All Things Nice community. Try it and send us some pictures, we will feature you in our next newsletter! Click here to see the recipe.